Would you like a beautiful Fine Art portrait of your horse hanging on your walls? 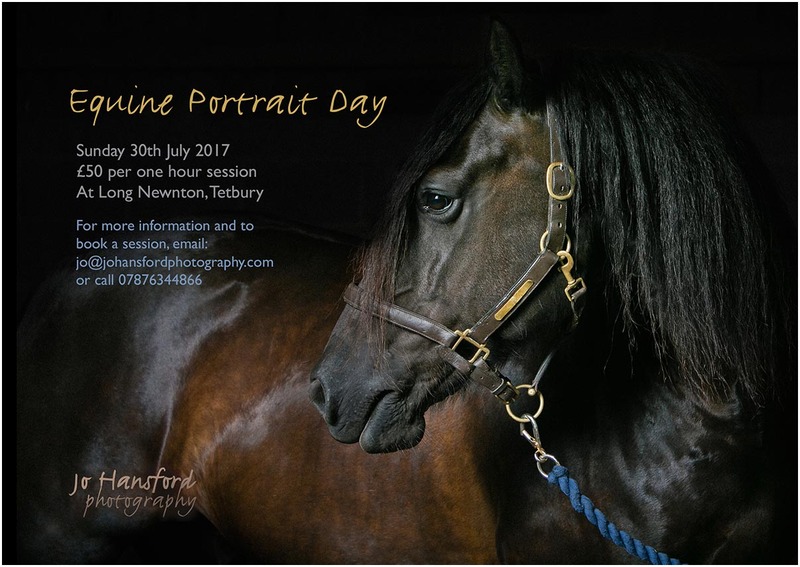 Come along and join us for our next Equine Portrait Day on Sunday, 30th July, in Tetbury in the Cotswolds, where you can pop along with your four-legged friend for an hour to have some photographs taken. It could be just your horse, you with the horse or both – dogs are also welcome. To reserve a space, call Jo on 07876344866, email jo@johansfordphotography.com or contact us here. We will send you details about clothing and how to prepare your horse before the session, and directions for the location, ahead of the shoot. The shoot fee of £50 includes the session time, editing of the photos and we will arrange a convenient time and day for you to come and view the photos here in our viewing room in Bristol.